Using Address Verification from Your Shipping Company? Are You Using Address Verification from Your Shipping Company? 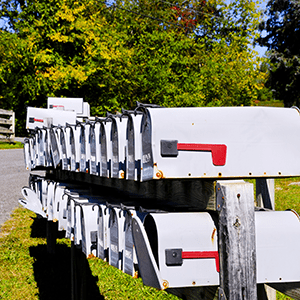 Typos, misspellings, and carelessness take their toll on deliverability, making address validation essential for any business that relies on USPS, FedEx, UPS, and other shipping companies. We’ve all been there: maybe it’s a simple misspelled word such as “Mane Street” instead of “Main Street,” or maybe it’s a few transposed numbers in a street address. Now that mobile devices have taken over the world, autocorrect isn’t helping matters, either. Fortunately, shipping carriers understand that mistakes happen — and it’s in their best interest to make sure that packages arrive as expected, even if the address is incorrect. Think about it, would you rather the shipping carrier figure out where the shipment is intended and get it there on time or would you prefer that the carrier return the package to you? If the package is returned, you’re going to look bad to the customer. The delays could be excessive, too, reminding your customer that you let her down with each passing day. Thus, when a shipping carrier uses some sort of address verification service to conduct its own investigation and get the package to its intended destination, it’s offering a valuable service. Of course, you can expect to pay for that service. When shipping carriers use an address validation service to correct an incorrect address, they typically impose some sort of “address correction” or “charge-back” fee. While the shipping carrier may have acted like a hero, saving the day comes with a hefty price tag. For example, correcting an address with FedEx Express US freight services will cost you $60 per correction. This makes FedEx Ground’s $11 charge-back for an incorrect shipping address look like a bargain (and trust us, it’s not). So, what do you get for all that money? The customer gets her package, so that’s a plus. However, it’s what you won’t get that makes using a shipping carrier’s address validation service a bad investment: You won’t get the customer’s corrected address! Your accounts payable clerk will likely pay the bill, but it may never cross his mind to dig deeper to find out the customer’s correct address and update your database. The next time this particular customer places an order, the order will ship to the address on file — and it’s still incorrect. Again, your shipping carrier’s address verification service will kick in and save the day. And once again, you’ll be charged an outrageous address correction fee. This cycle could continue with each transaction, eating into your profits needlessly. Few businesses survive on bad investments. Instead of repeatedly paying shipping carriers address correction fees, a better investment involves cleaning your own data using an affordable address verification service such as Service Objects DOTS Address Validation. Remember those $11 to $60 fees imposed by shipping carriers for using their address validation service? What if you could proactively verify — and correct — addresses automatically and in real time for mere pennies? Kathleen Rogers, Director of Engagement at Service Objects recently discussed the shipping companies’ exorbitant penalty fees with Virtual Logistics Inc., along with the benefits of using Service Objects’ address verification service. She also explained that unlike addresses corrected by shipping carriers, the corrected address is immediately updated in your database. This ensures that the same mistake is not repeated. Addressing mistakes happen, but you shouldn’t have to pay exorbitant fees over and over to correct them (and temporarily at that). Real-time address validation from Service Objects is a far superior investment.